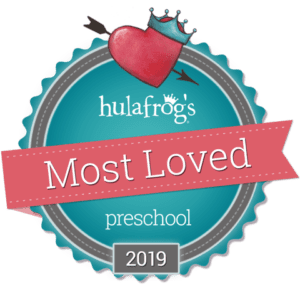 Little Sunshine’s Playhouse and Preschool is recognized within the industry as a premier early childhood education program and is proud to be a part of the San Antonio and Stone Oak communities. We offer an identity of unrivaled distinction in our brand image and high-profile architectural presence, and in the level of support and training, our child care franchise system provides the School Operators. Our secured Kiddie Cams™ allow parents of enrolled students and school leaders to view our classrooms in real-time from monitors placed within the preschool. Cameras are set up in every classroom and playground and the video footage is displayed in full color, high definition. Kiddie Cams™ further provide the opportunity for live streaming to the executive leadership and support team in Springfield, Missouri for quality assurance by trained professionals. “Hi! I am so thrilled to be the Program Director of Little Sunshine Playhouse-Stone Oak. I am a graduate of the Fighting Texas Aggie Class of 2007! After being a stay at home mom for four years, I decided that my children would benefit from social interaction and enrolled them in a local child care program; I then began working at the program my children attended as a floater in 2010. In 2011, I was promoted to Assistant Director. My children and I created great memories during this time, and preschool was their second home. I enjoyed working with families and being an advocate for children. In 2013, I left the child care field and committed myself to working with children through Child Protective Services. In 2015, I transferred to Texas Child Care Licensing as an inspector and investigator. Though I have continued to work with children in a variety of ways, I feel most empowered when I am in a school, working hands on with families! Providing a trusting, loving, and safe environment for children is so important to me, and I feel LSP’s philosophy encompasses my very own. On a more personal note, my partner and I, James, are raising two wonderful children, Catalina & Kenneth. Our family is rounded out by James’ three boys, Alex, Diego, and Austin, as well as three dogs and one cat! In our free time we enjoy visiting downtown San Antonio to explore different restaurants and museums; we also enjoy bowling, playing games at arcades and we have a family tradition of watching 80’s & 90’s movies every Friday night together! James and I like being active outside, as well, and enjoy camping, working out and going on motorcycle rides. “Hello, my name is Victoria, but please feel free to call me Vikki! I am so proud to be joining the Little Sunshine’s Playhouse family, as the Assistant Director at San Antonio-Stone Oak. I have been in child care for nearly thirteen years; I’ve had the opportunity to work in almost every role of a preschool team, as I began as a substitute teacher and made my way to Assistant Director! I have enjoyed working with all age groups in a classroom and feel every age brings something different and special to the table. Over the past six years, I have been working in the administrative area of preschool and have really enjoyed building relationships and bonds with all families in the school! I cannot wait to be a part of the wonderful approach that LSP takes with Early Childhood Education, and look forward to all of the families that will become like family to us at Stone Oak. Speaking of family, I am married to my high school sweetheart, and best friend. I have three amazing daughters, ranging in age from 3 years to 14 years old, and my son comes in the form of a Blue Russian cat. We spend most of our free time entertaining friends and family but also love to get away to do some fishing. Nothing is more relaxing!